The excitement grows as Columbia International University athletics history continues to be made with the ever-expanding CIU roster of sports. 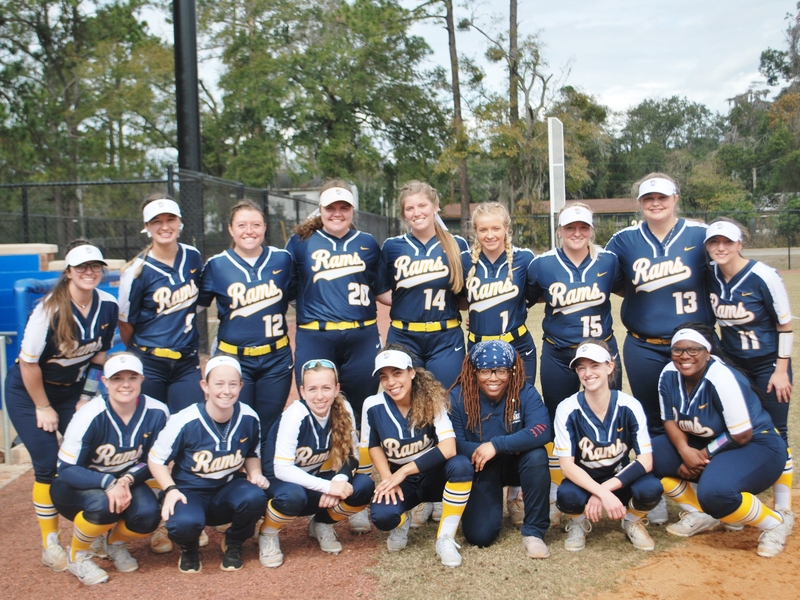 The first CIU women’s softball games took place over the weekend of Feb. 1-2 as the Lady Rams travelled to Georgia and Florida. The Rams dropped two games in their first-ever intercollegiate match-up at College of Coastal Georgia located in Brunswick. The Rams and Mariners played two tough games, but the Mariners came out on top, 5-0 in game one and 5-3 in game two. The Rams then moved down I-95 to take on the Eagles of Trinity Baptist College in Jacksonville, Florida. The Rams’ bats came alive as they swept the doubleheader by the scores of 21-2 and 11-9. In the first game, the Rams got on the board early and made more history when Kayla Washington smacked the Rams’ first home run that everyone knew was gone the second it left the bat. The Rams first home games are a double header Feb. 19 at 1 p.m. against Piedmont International University from Winston-Salem, North Carolina.